NAB is launching a training program – the NAB Cloud Guild – to upskill more than 2000 employees in cloud computing. The guild will target a broad range of workers, and is open to any who "show a passion for learning new things and a basic understanding of technology concepts". The courses will be funded by NAB and provided by Amazon Web Services, and will typically run for three to five days, with three to six months of follow-up hands-on experience. The scheme will focus on architecture, security, developers, operations and big data, the bank said. “Cloud computing is becoming a dominant technology platform and our people need to have the relevant skills to deliver for our customers. Customers are demanding seamless, digital experiences and we need to be ready to deliver,” said NAB chief technology and operations officer, Patrick Wright. Graduates of the guild will have the opportunity to become certified AWS Cloud practitioners and can opt to continue training to become an associate developer, an associate systems operator or an associate architect. “The battle for technology talent is fierce and we’re taking action. We want to create opportunities for our people who want to learn new skills and grow their career in technology – and we want the top talent in the industry to come and join us,” Wright said. "You can’t pick up cloud skills overnight, but if you have the right mindset, a passion for technology and desire to learn – this could open up new horizons in your career,” he added. In November last year, the bank announced it will “immediately hire” 600 specialists in the fields of software engineering, data, architecture and security while also detailing plans to shed 6000 positions over three years. 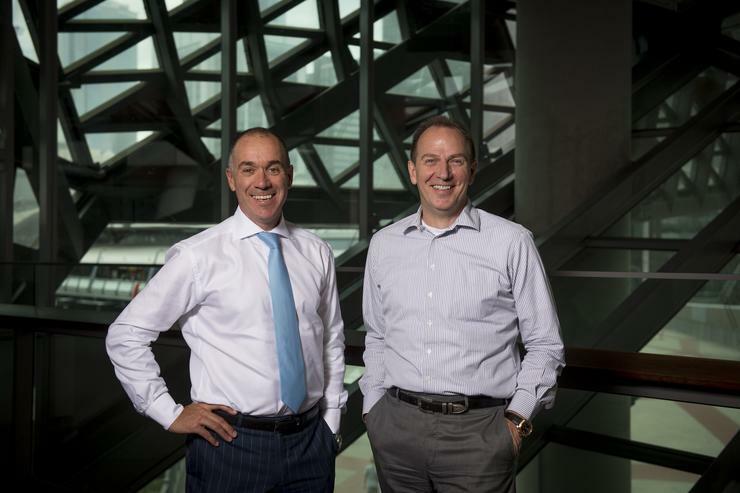 CEO Andrew Thorburn revealed that over the same period NAB would create equivalent of 2000 new full-time technology-focused positions in areas including data science, AI, robotics, automation, and digital. The bank plans to invest an additional $1.5 billion in technology over the next three years, boosting its investment slate to $4.5 billion, including in cyber security, automation, digital capabilities and the simplification of NAB’s application ecosystem. The Cloud Guild is part of wider NAB strategy to reduce its reliance on outsourcing in favour of boosting an internal IT skills base. “We have a lot of smart, dedicated and passionate people in our bank – and we want to enable them to build great tech; we will continue to look at ways to develop and diversify skills in our people,” Wright explained.